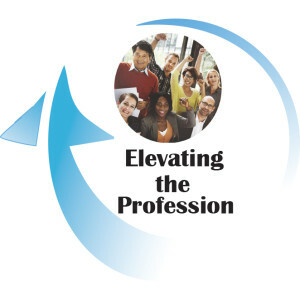 Are you taking on a leadership position in your PRSA chapter in 2019? If so, mark your calendar for the annual QuickStart Leadership Conference, taking place on Saturday, September, 15 in Columbus, Ohio at the Fahlgren Mortine offices in Easton Town Center. FREE to two chapter leaders, this one-day conference will give you tips and best practices on chapter planning, membership recruitment and retention, among other topics, and offers a chance to talk with your peers from among our District’s 17 PRSA chapters. The first 10 chapter registrants will receive a $150 travel scholarship this year, which can offset hotel or gas costs (one per chapter). This is a great opportunity to prepare you and your chapter to help Elevate the Profession in 2019! The fun begins with an optional happy hour networking event at Bar Louie on Friday, September 14, from 5:30 p.m.- 8 p.m. The Central Ohio PRSA chapter and ECD have joined together to provide heavy appetizers. Drinks are on your own. On Saturday, parking is available in the garage behind Fahlgren Mortine; park on the top floor to enter the building. The one-day conference kicks off at 7:30 a.m. with a continental breakfast. We’ll wrap up and have you on your way no later than 4 p.m.